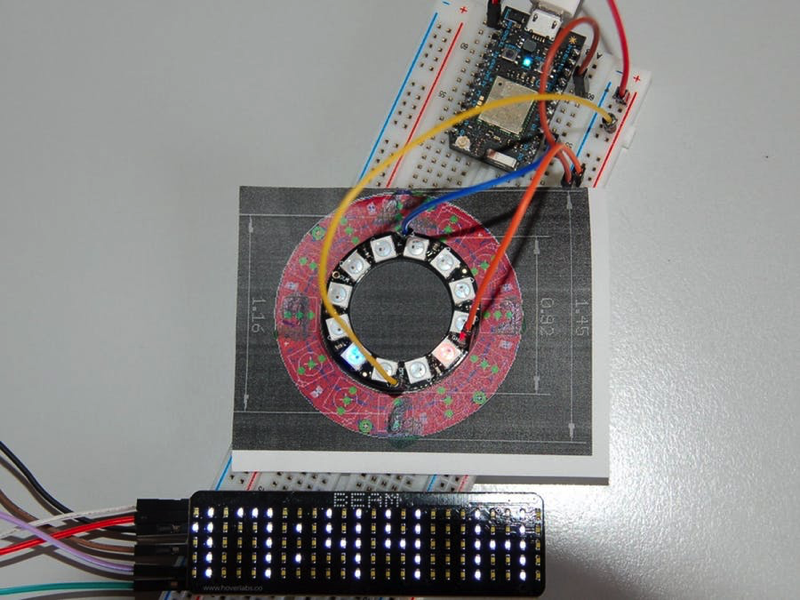 NeoPixel Ring Clock « Adafruit Industries – Makers, hackers, artists, designers and engineers! 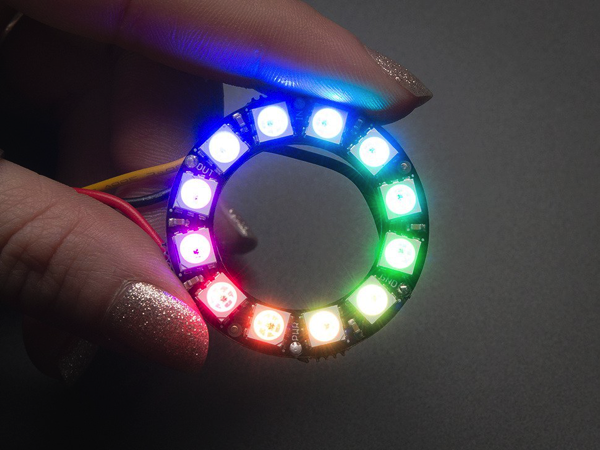 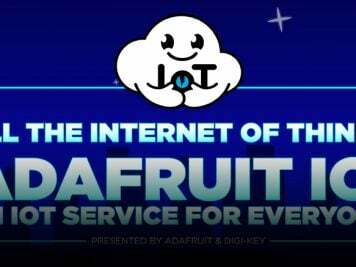 There is an Adafruit NeoPixel Ring with 12 LEDs which can be individually controlled. 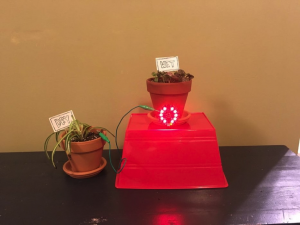 By symbolizing the hour as a red LED and the grouping of the minutes into a 5 minute range as a blue LED, you can estimate with only one NeoPixel Ring how much time you can spend in the bed until the alarm rings (this can be retrofitted with a buzzer).